*Spoiler warning: This review contains spoilers for the Star Wars Rebels episodes “Jedi Night” and “Dume. After a 3-month hiatus, Star Wars Rebels returns with a pair of episodes that shift paradigms and permanently alter the status quo. In the interim, we’ve experienced The Last Jedi in all its controversial glory, so it’s easy to forget how great Rebels can be and how consistently powerful the storytelling has been throughout the series’ run. But “Jedi Night” and “Dume,” the latest offerings from Dave Filoni and company, waste no time reminding us how much Kanan, Hera, Zeb, Sabine, Ezra, and Chopper have come to mean to us and Star Wars as a whole. “Jedi Night” and “Dume” are truly two of the most hauntingly beautiful episodes of Star Wars Rebels ever made, and Kevin Kiner’s score imbues the imagery with palpable emotion while also diverging stylistically (and successfully) in several places. I’m not saying Rebels has saved the best for last, for the show has had several incredible episodes (e.g., “Twilight of the Apprentice,” “Twin Suns,” etc.) that rival these last two. 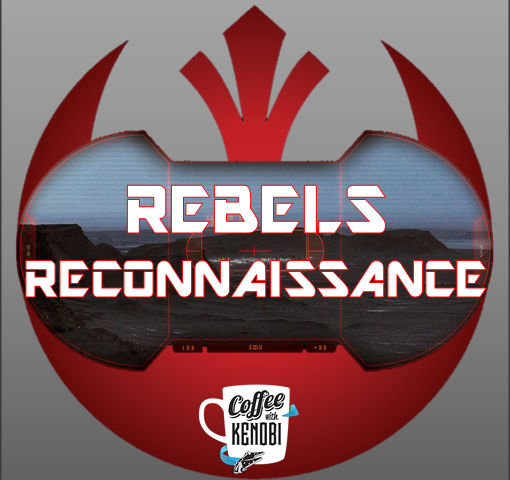 But I am saying that as Star Wars Rebels winds down, the show is pulling out all the stops as it elegantly folds in to the events of both Rogue One and A New Hope. After a daring rescue of Hera from the vile clutches of Governor Ahrinda Pryce, Kanan and Hera must then fight off the relentless Rukh before enjoying the briefest moments of bliss atop an Imperial fuel pod. A “will they or won’t they” relationship that for many people rivaled Sam and Diane from Cheers and Mulder and Scully from The X-Files finally moves beyond that “some unspoken thing” phase (with apologies to Star-Lord) as Hera confesses her love for Kanan. But alas, there is no storybook ending for these two as a Governor Pryce chooses to destroy the fuel pod rather than let her quarry escape. Kanan and Hera are instantly thrust into peril, as are Sabine and Ezra who have arrived in a transport to save their friends. Faced with a brutal choice, the erstwhile Caleb Dume (more on that later) sacrifices himself in a moment of peace and purpose (as Rey might say). In an epic fashion that clearly echoes the heroic demise of Jean Grey in X-Men 2 , Kanan holds back the fiery explosion just long enough for his friends to escape before he is consumed in the inferno. For Governor Pryce, Kanan’s death is a hollow victory as her desperate move to satisfy her own hubris effectively cripples Thrawn’s TIE Defender program, which is now left without a fuel supply. The Grand Admiral, who had been meeting with the Emperor on Coruscant to convince Palpatine to choose his project over Orson Crennic’s “Stardust” project (i.e., the Death Star), is incensed by Pryce’s actions and vows to address her failure when he returns to Lothal. In this one scenario, Rebels’ writers gracefully explain away the TIE Defender’s usurpation by the Death Star on Palpatine’s priority list and keep Thrawn’s reputation intact. The Chiss master strategist remains indomitable left to his own devices, and his only weakness remains the incompetence of his subordinates. “Dume,” the second episode this week, picks up immediately after Kanan’s passing and serves as a study in grief for those closest to him. Zeb and Sabine channel their emotion into action and seek to exact some form of revenge on the Empire and soon discover for themselves that the TIE Defender program has been indefinitely suspended. Following that, the pair find themselves in a protracted skirmish with Rukh that serves to both enhance the Noghri’s status as a warrior and demonstrate the power of teamwork through the combined actions of the Lesat and Mandalorian who ultimately defeat him. On the other hand, Hera’s reaction to Kanan’s death is one of crippling sorrow. The Twi’lek pilot whose motherly strength continually infused the others with the confidence to keep fighting becomes a nearly-catatonic shell of herself. Blaming herself for everything from getting Kanan into the Rebellion in the first place to not telling him how she felt until the end, Hera switches roles from the parent to the child–until Zeb and Sabine (her “children”) bring her the news about the TIE Defender’s demise. Realizing that in death Kanan still accomplished their mission on Lothal, Hera’s despair transforms into resolution and she vows to honor his memory both by including him in her family tree by adding him to her Kalikori and by recommitting to taking down the Empire. Ezra Bridger’s response to Kanan’s death takes on a mysterious spiritual aspect as the Padawan has a physical encounter with a pack of Loth-wolves that leads to a metaphysical one as well when the boy is rendered unconscious. In what can only be described as a Force-vision, Ezra meets the largest Loth-wolf we’ve ever seen, an enigmatic creature who call itself “Dume” and sounds an awful lot like Freddie Prinze Jr. At this point, one must wonder whether a form of reincarnation is at play here, which also begs the question of whether or not this might be what Dave Filoni was referring to when he spoke about Ahsoka Tano’s story not being quite finished. What is real and what is not in this sequence is debatable, but what is clear is that Dume wants Ezra to return to the Jedi temple on Lothal and uncover the knowledge inside. He is to “restore the past” and “redeem the future” with what he finds there–a cryptic message if ever there was one. Next week, we’ll surely get some answers, and if “Jedi Night” and “Dume” are any indication, those answers might very well have far-reaching implications for both Rebels as a series and Star Wars as a saga.